Life assurance what is it? Most people have no idea because insurance companies and financial planners alike use it in the same breath. However, the two policies couldn’t be more different. They are only similar to each other in that they are both life policies, but only to an extent. 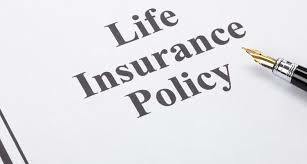 A life insurance policy usually has a time frame, after which it expires. If the insured is still alive after the policy’s expiration date, he gets nothing out of it. Despite this enormous risk, life insurance is a more popular policy of the two, as it is more affordable. However, the fact that it only runs for a certain amount of time can disqualify former life insurance policy owners from qualifying for another insurance policy. Any life cover depends on a person’s insurability, age and mortality rate. Therefore, the older you become, the less likely you are to be eligible for a life insurance policy. For this reason, a life assurance policy is what would be the best bet. Life assurance can last for an entire lifetime. Its premiums are more costly than insurance cover, but the advantage of this is that the policy has no limit and can become an investment tool. At the end of this policy’s term, you get a guaranteed payout – which is usually a sizeable amount. That is if you bought the policy from a large, reputable insurance company. On the other hand, a life insurance policy only pays a set amount if you die while the policy’s term is still in effect. With life assurance, the policy owner is allowed to cancel his policy and cash in early. However, some insurance companies might charge heavily for this to discourage others from doing the same. Go online and get free Life insurance quotes and find out more. It’s harder to buy a life assurance policy than it is to purchase a life insurance policy. Apart from the fact that its premiums cost more, the process of buying one is also much longer. Nowadays, you can buy a life insurance policy online, but there is no such option for a life assurance policy. Insurance companies usually encourage you to seek financial advice before making this big decision. Getting financial help and guidance before buying a policy is beneficial to the buyer, as it prevents them from making costly mistakes. A few examples of such errors are: buying a policy for the wrong reasons or paying for cover you don’t need. Also, choosing an insurance policy that doesn’t suit your needs and purchasing it while you are young in order to avoid high premiums. As beneficial as a life assurance policy is, it is not what everyone needs. Those who benefit from it the most are people who will be leaving behind dependents once they are gone. Apart from helping out with funeral expenses, mortgages and debts, the payout can leave the family financially stable after his/her death. To make sure your loved ones are taken care of long after you’re gone, this is the insurance policy for you. Life assurance what is it? Now you know.